I really dig temporary tattoos. They are a great way to embellish your body and add a stylish highlight, without leaving a permanent image on your skin. 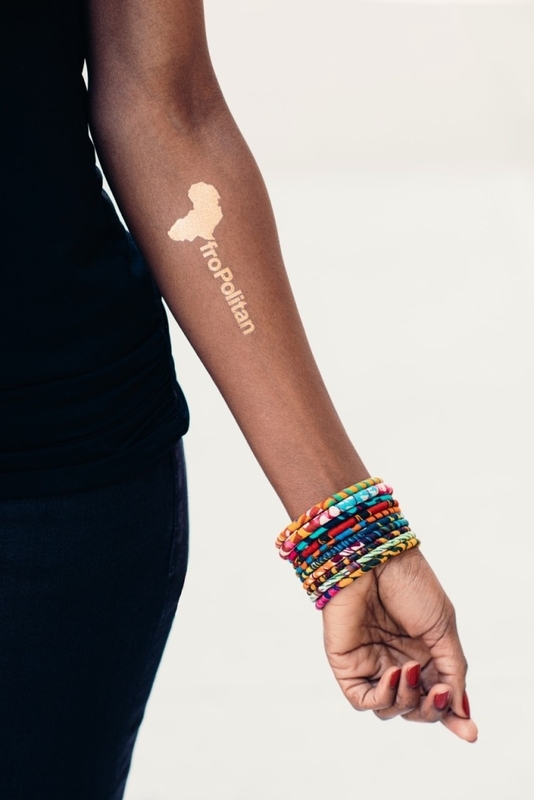 As I didn’t find any Africa-inspired temporary tatts, I decided to create my own ones! Gye Nyame – a symbol about the supremacy of God. This is a symbol that is literally everywhere in Ghana and can be found on a spoon, the curtains , carved in the table as well as the entrance gate – you name it! In addition to these two Adinkra symbols I added the image of the African continent and the text AfroPolitan. Get one of the tattoo sheets for 17.99 USD and you are all set for your trip to the pool, the beach, brunch, a festival – anywhere really where you want to show-off some embellished body parts.